heartburn and irritation. This happens because of a weak valve muscle present between the esophagus and stomach, which acts as a gate, allowing food to pass in only one direction – from the esophagus to the stomach. 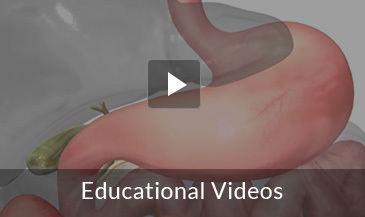 Laparoscopic Toupet fundoplication is a surgical procedure performed for the treatment of GERD. The procedure strengthens the valve between the esophagus and the stomach, preventing the backflow of acid. Fundoplication is a procedure where the upper curve of the stomach (called the fundus) is wrapped and sewed around the esophagus. Laparoscopic Toupet fundoplication is a partial fundoplication, involving a 270° wrap. Laparoscopic Toupet fundoplication is performed when medication and lifestyle changes cannot treat GERD. It may be suggested to cure GERD complications like Barrett esophagus (damage of esophagus lining) and peptic stricture (tightening or narrowing of the esophagus), or extra-esophageal symptoms like hoarseness, asthma, chest pain, cough, and aspiration. Laparoscopic Toupet fundoplication is performed under general anesthesia. Your doctor makes small incisions on your abdomen to insert the laparoscope (thin tube with camera and light source attached to it) and surgical tools. This allows your surgeon to view the internal organs clearly. The abdomen is inflated with gas to expand the area and make it easy for your surgeon to view the abdominal cavity. The upper curve of the stomach is placed behind the esophagus and stitched on either side such that the base of the esophagus passes through a small channel in the stomach muscle. It is also attached to the diaphragm (muscle that separates your chest and abdominal cavity). The incisions are closed firmly with sutures. The complete procedure may take around 1 to 1 ½ hours. After the surgery, you may have to spend one night in the hospital. You will be prescribed analgesic medicines to relive any pain. You may find it a little difficult to swallow, but it will soon resolve in a month or two. Your initial diet will include mashed or pureed food, which will be slowly advanced to more solid food. You can resume your normal activities in one or two days.